This is hardly even a post about cooking. It’s a post about what what to do when you want to help. When things happen in life and I feel like I want to hug and cry and help, I cook. And often, because I feel such a connection with meals, the thing to be cooked just comes to me. This time it was the humble stuffed cabbage. 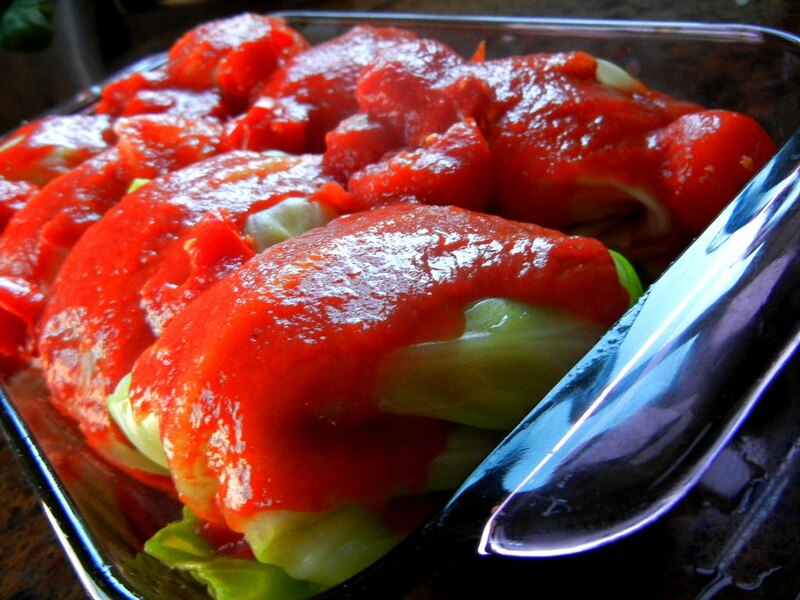 When I was little, stuffed cabbage was a comforting dish that my mom would make on Sundays. When I was newly married and a fish out of water in New Jersey, it was the dish my mother-in-law and I connected over at Paul’s Diner in Mountain Lakes. Turns out, she loved it, just like I did. She grew up with her mother making them, as well as serendipitously being at a diner on the rare day the kitchen made them. In Texas we don’t have much of a diner culture, but I really grew to love this aspect of New Jersey. As she explained it, every diner had its own schedule of when things were made and you kind of needed to be a regular to figure it all out. We happened to be there on a Monday, during lunch and we both decided saw and decided immediately that we’d have the cabbage. She grew up with cabbage rolls being served with copious amounts of mashed potatoes. This was not something my mother did.